Arsenal are set for a massive overhaul in their squad this summer and even success in the Europa League - which now seems unlikely after being drawn against Atlético Madrid - won't paper over the ever growing cracks in north London. Some steps have already been taken to prepare for a post Arsène Wenger era at the Emirates, with Raul Sanllehi being brought in as the club's head of football relations and former Borussia Dortmund scout Sven Mislintat taking up their head of recruitment role. 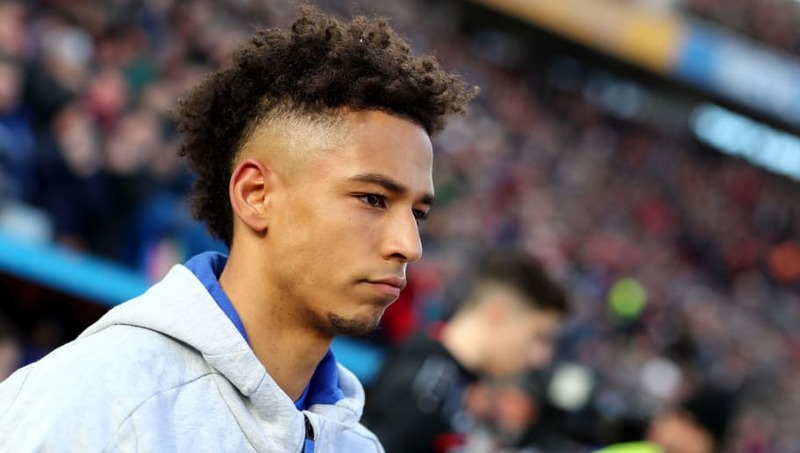 The latter was spotted in the stands at the Veltins-Arena on Sunday as Schalke 04 secured a derby day win over Dortmund, likely eyeing up potential recruits for Gunners ahead of the summer transfer window. With that in mind, here are five people that Mislintat should have been keeping a very close eye on in Gelsenkirchen. 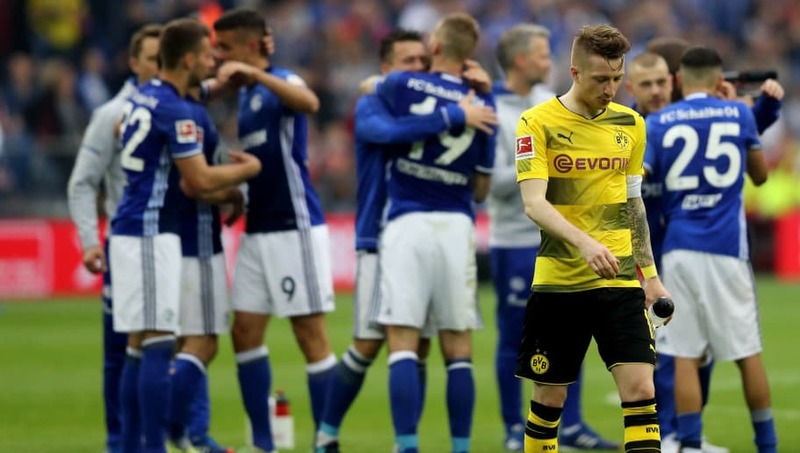 Arsenal fans tuning in to the Revierderby at the weekend would have been disappointed to see Max Meyer remain an unused substitute against Borussia Dortmund. The 23-year-old has been linked with a move to Arsenal when the transfer window opens this summer and he has been lined up to be a direct replacement for Jack Wilshere. 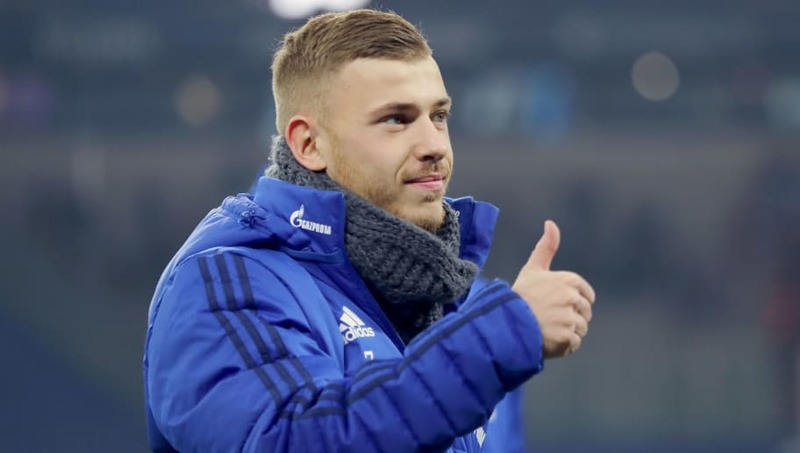 The Germany international will be available on a free at the end of the season and a switch to north London will see Meyer follow the same path that Sead Kolašinac went down 12 months ago. Meyer started out his career as a promising attacking midfielder but he has been deployed as a deep playmaker under Tedesco. 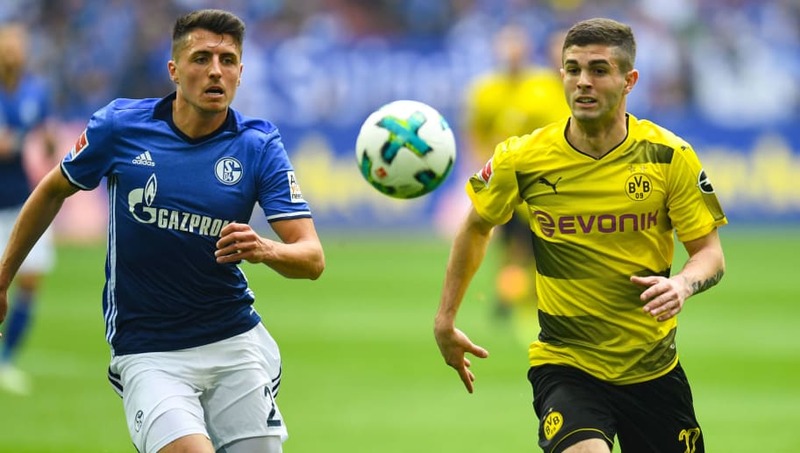 Christian Pulisic is a name which has been floating around for some time, but the 19-year-old is yet to really see his career move forward at the Westfalenstadion. The USMNT star is often linked with a move to the Premier League and with Arsenal in desperate need of a natural winger in their squad, this could be a match made in heaven for the Gunners. Additionally, Pulisic will have the chance to lineup with Pierre-Emerick Aubameyang once again. 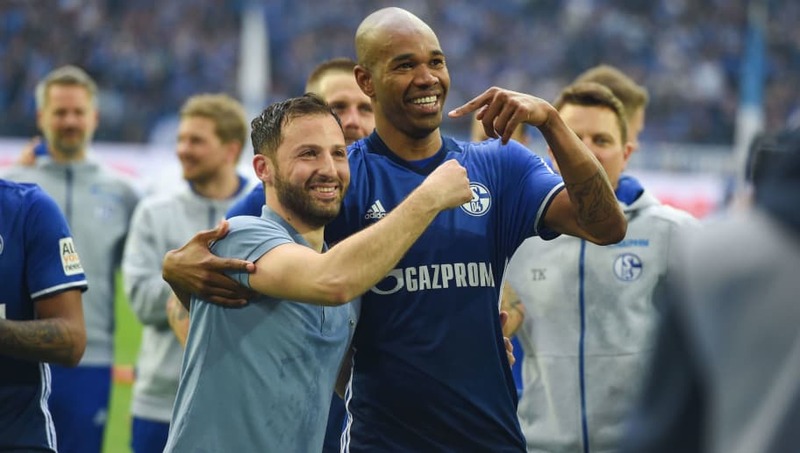 The prospect of Arsenal signing a 35-year-old player might sound ridiculous, but Schalke defender Naldo is arguably still the best centre back outside of Munich, and the Gunners are in desperate need of an injection of quality and experience in their backline. The Brazilian veteran is also deadly when it comes to set pieces, something that was highlighted against Dortmund, and Naldo is currently the Royal Blues' second highest goalscorer this season. Keeping along the same lines of Arsenal's woeful defending, the Gunners could do a lot worse than making a move for Schalke youngster Thilo Kehrer. The 21-year-old is one of Germany's rising stars and could be in line to replace the likes of Mats Hummels and Jérôme Boateng in the national team in the not too distant future. After signing from the Stuttgart academy in 2012, Kehrer has gone on to make 59 appearances for Schalke throughout his short senior career. Above all else this summer Arsenal are in desperate need of a new manager and Sunday's defeat to Newcastle just highlighted that fact even more. The harsh reality for the Gunners is that although they are still a big club, what big name manager is going to risk taking a job at the Emirates after Arsène Wenger's 20 year reign? 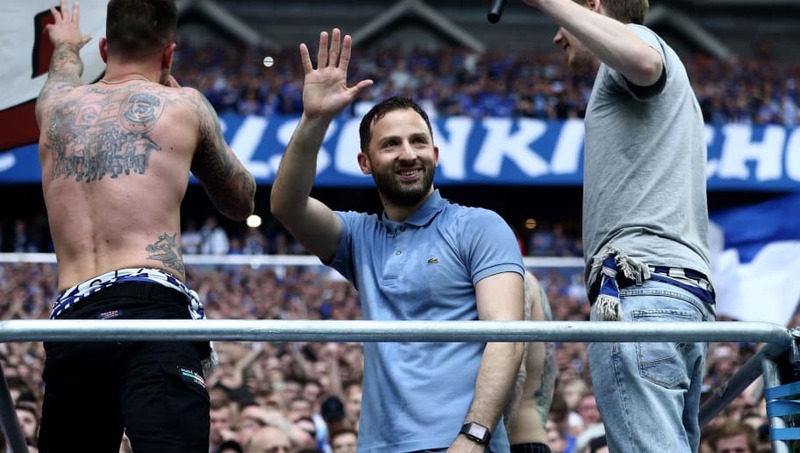 Although there is undoubtably a taboo in the Premier League about appointing young managers, Domenico Tedesco has worked wonders at the Veltins-Arena this season and the 32-year-old is on course to become a household name of European football.